My first five comics in 100 words or less. This is the first comic I ever got, purchased off the spinner rack at a 7-11. I'm pretty sure I got this because I had seen Aquaman cartoons on TV. 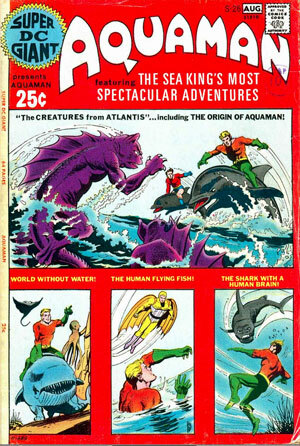 Aquaman rides a whale with legs, fights the Human Flying Fish and meets Aqua-woman = my 5 year old mind completely blown. The guys at CosmicTreadMill have a complete synopsis of the issue here. While this predates my Aquaman comic, it was the third comic I got, because I traded my Aquaman comic to Steve Previtt for this issue. 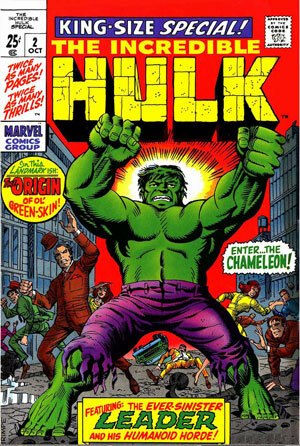 With art by Steve Ditko and Jack Kirby, this comic contained 4 awesome Hulk stories. 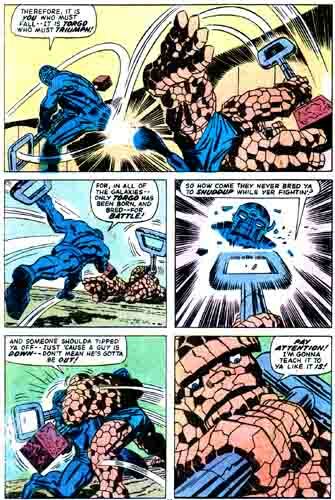 The bulk of it focused on the Hulk's battles against the Leader's Humanoids, a group of flexible, faceless androids that sort of screams Steve Ditko must draw us! Favorite moment, the Hulk uses what looks like two army field toliets to destroy two planes. Nicely done Hulk! 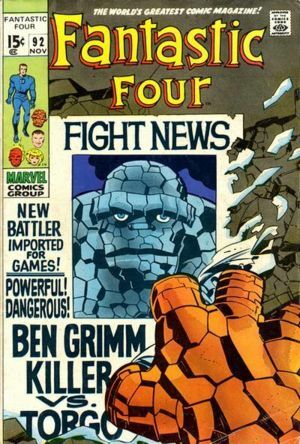 Strangely, you would think such an awesome comic would have inspired me to buy more Marvel comics, but I think my inability to get to the 7-11 when I wanted to probably kept me from doing so. Up until this issue, my comic purchases were pretty sporadic (as you can see by the gaps in time) It was probably soon after the purchase of this issue that I started really collecting. I'm not sure what turned me from a casual reader into an avid collector, but I think I'll try to figure that out in a future blog post. Feel free to tell me what your first five comics were! If those were your first five, no wonder you liked comics! What a great bunch of issues! I wrote something on a similar topic a while back but I may have to revisit it because this was so entertaining. 1) An argentinean comic called "Patoruzú", which were reprints of a comic from the 60s or 70s. I can't tell for sure when it was originally done, but as a 5-year old kid, I thought it was "alright". Reading it years later I thought "How is it possible that something this terrible is so popular?". A mystery! I'm pretty sure this is the first comic I read. 3) I remember getting my hands (probably in the very early 90s) in the colombian edition of some Batman comic whose authors I can't remember (I do remember Byrne though, which is weird because I've never been a fan, and at that age I didn't pay attention to the credits). 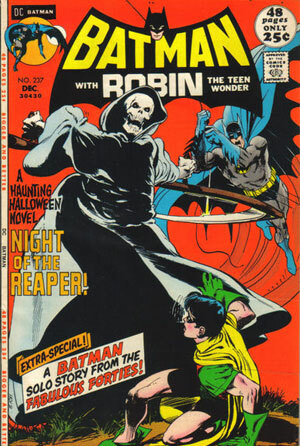 I remember there were tons of characters from the DCU, and being a fan of the Adam West show, I didn't like the comic because I didn't know all those characters and thought they had nothing to do with Batman (I was probably 6... that's my excuse ;) The Phantom Strange was one of the guest characters in that issue, and as a back up story, there was a Superman comic (Byrne again). 4) The comic adaptation of the first Batman movie (argentinean edition). The first Burton movie came out when I was 6, and while I didn't get to see it until a year or so after it had came out in Argentina, I remember I loved the few I saw (trailers on tv, maybe? I can't quite remember). I loved this comic and re-read it many times. Denny O'Neil wrote the adaptation and the great Jerry Ordway did the artwork. 5) "La Cosa del Pantano" (Swamp Thing...), and since there wasn't anything else (well, there were books, but I was able to read books during the school year...) I took it. It was a Swamp Thing issue (spanish edition once again) by Moore, Bissette and Totleben. I didn't expect much from that comic, but by the time I finished reading it, I was addicted. And it probably influenced what were going to be my choices when it came to buy comics years later: following series because of the authors instead of characters. @RAB - Yeah, I'd put that cover up against any of the last 100 covers generated by Marvel in the last year! 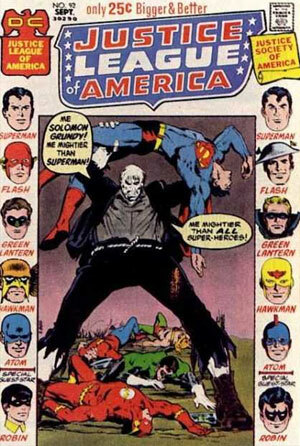 Damn, they knew how to make comic cover back then didn't they? @Diego - Thank you for the awesome rundown on your first five! I gotta say, La Cosa del Pantano probably a term I'm gonna throw out there next time I go to a Mexican restaurant, you know, just to see what they say! The funny thing is, reading your list, all your titles are fairly new, which is weird when I know one of your favorite tv shows is the old Planet of the Apes TV show! I have memories of all of these comics, especially the Batman issue, which I picked up at my grade school's fall festival when I was in fourth or fifth grade (they had a white elephant sale, and me and my other comic-reading friends would always race to that as soon as the doors opened in an effort to beat each other to the handful of comics they inevitably had). I always dug the Rutland issues because of the "normals" in superhero suits and the appearances of real people (though, yeah, the hippies scared me, and still do!). Free Comics Monday: We Invade Mars!